IAAF World Athletics Championships 2017 | Life, Sport and Diabetes - An everyday look at my life with type 1 diabetes. Over a year ago I applied to become a volunteer, or 'Runner' for the IAAF World Athletics Championships to be held in London. Well the time is now and my volunteering will take place over 5 shifts across 8 days starting tomorrow, with breaks in between to also spend time enjoying London. Furthermore, I wasn't alone in applying, as my Dad also put his name down to do. So over the last few months we've been attending interviews and then training in readiness for the big event. What I wasn't expecting about the application process was that we were allowed to choose which department we wanted to work in. I've never done this type of big event volunteering before, so I decided to choose something I was also passionate about in addition to the athletics, which is the media. 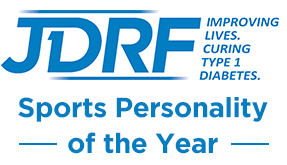 So for the next 8 days I will be working as part of the Press Operations Team for the Championships across a range of London venues, so be sure to follow me on Instagram (@LifeSportDiabetes) and Twitter (@MelStephenson01) for pictures and updates!